Cambridge University Press have just released a new series of reprints of out of copyright material in their series Cambridge Library Collection. It includes a range of volumes, with many by Petrie, and is most definitely worth a look. There has always been a dearth of new evidence for things from the controversial Amarna Period, so when something new does appear, it is a welcome relief to the re-hashing of old things. 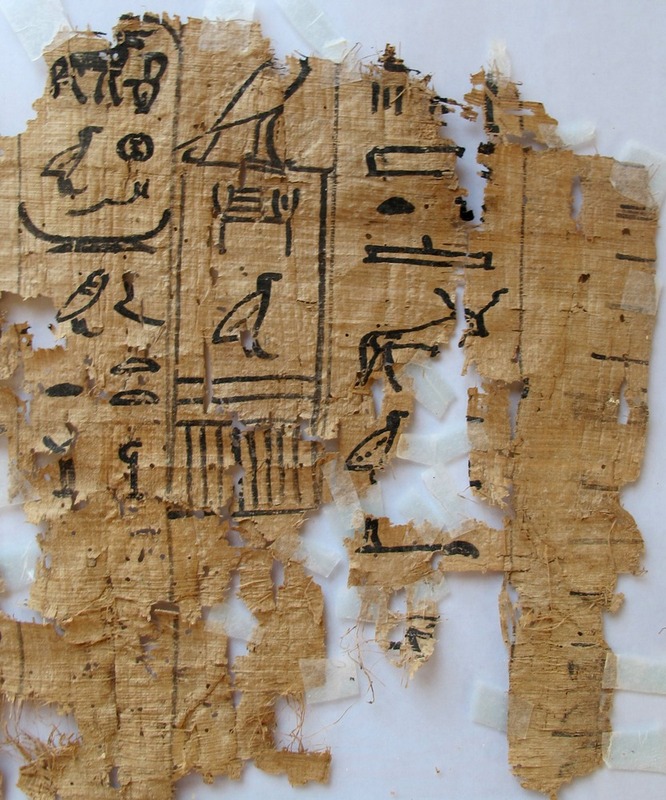 The Belgian Deir el-Bersha mission has found a text of year 16 of Akhenaten which also mentions Neferitit (this is second-hand so I am repeating what is in the article). It suggests that Nefertiti was alive hear the end of the reign of Akhenaten and hopefully will put to bed the old stories about her "disappearing", "being disgraced", etc. It makes the theory that she assumed the kingship on her husband's death all the more likely. Perhaps the oldest living Egyptologist has just left us. The following text is taken from the Petrie Museum's Facebook page. Peggy died peacefully this morning only a month away from her 101st birthday. I doubt there is anyone left who remembers her working at Amarna and Armant in the 30s but there are many who were taught by her at UCL where she was the lecturer in Ancient Near Eastern History, and even more who know her from her biography of Flinders Petrie. With Hilda Petrie, Peggy can take credit for creating the public persona of Petrie. I asked her once if she would write her autobiography and she said that autobiographies should only be written by interesting people. She wasn't often wrong, but she was in not considering her life interesting. The daughter of diplomat Sir Edwin Drower and his wife Ethel Stefana Drower, an anthropologist and specialist on the Mandaeans (and who witnessed Wooley’s discovery of the Royal Tombs of Ur), Peggy was taught by Petrie and Margaret Murray and Stephen Glanville. She was awarded a First in Egyptology - one of the first Egyptology degrees awarded by UCL. She worked at Armant with Myers and Mond and Ali Suefi, and at Amarna with Pendlebury. Glanville recommended her for the post in the History Department at UCL a post she held until the war. As an Arabic speaker she was sent out to work with Freya Stark in the Baghdad Ministry of Information. After the war she developed the Ancient History/ Egyptology Degree which has produced generations of rounded scholars who see the history of their specialist discipline in the greater framework of the ancient world. She retired as Reader in Ancient History at UCL, Honorary Professor at the Institute of Archaeology, a Fellow of the Society of Antiquaries and Vice President of the Egypt Exploration Society. She has contributed to many books, especially the Cambridge Ancient History series, and documentary programmes on the ancient Middle East and is, of course, the author of 'Flinders Petrie: a Life in Archaeology' (London: Victor Gollancz, 1985); and 'Letters from the Desert: The Correspondence of Flinders and Hilda Petrie', (Oxford: Oxbow Books, 2004) - and I realise that I am still writing in the present tense. Peggy was a lovely person who never lost her smile, a generous supporter of the Petrie Museum and of the Friends, and of her many, many students and colleagues. She lived independently until only a few years ago and was still keenly interested in research. Peggy's daughters Laila and Jenny, and their families, have suffered a great loss and we offer our sympathy and support. I believe he will take the name Theodoros II. Professor Dr. Dr. Manfred Görg has died in Munich/Germany on Monday, 17th September. He was an Old Testament scholar and an Egyptologist, as well as a Roman Catholic priest, founder and chairman of the "Friends of Abraham Society" for Ancient Near Eastern studies and interfaith dialogue between Jews, Christians and Muslims, and a person who impressed all who knew him with vast knowledge, firm principles and integrity, and infinite open-mindedness. Among the last of his more than 1500 books and articles was the presentation of what he and others believe to be the first attestation of the ethnonym "Israel", in Egyptian hieroglyphs. Egyptologists are most likely to have come across him via the series he founded "Ägypten und altes Testament"
Please direct mails to: <info@freunde-abrahams.de>.